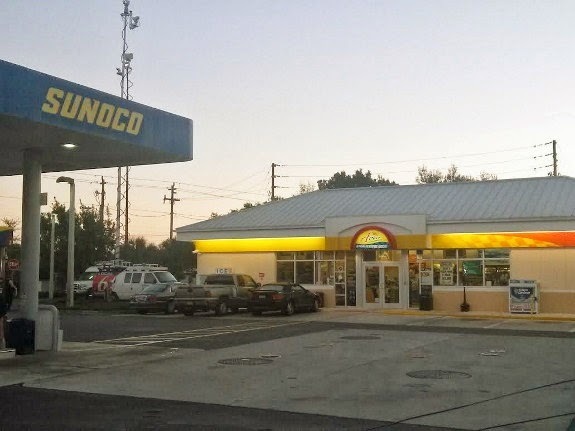 MERRITT ISLAND, Florida -- One of two winning tickets for the $400 million MEGA MILLIONS jackpot ($224 million cash value) was a Quick Pick sold at the Sunoco gas station located at 600 S. Courtney Parkway on Merritt Island, Florida, Lottery officials reported early this morning. The other winning ticket was sold in Maryland. The two winning jackpot states bookend Mega Millions history. Florida is the newest member of the Mega Millions group, having joined the game last May, and this is the state’s first jackpot winner. In contrast, Maryland is one of the game’s founding members, and previous jackpot wins in that state include a one-third share of the largest Mega Millions jackpot in history, $656 million. The jackpot prize will be shared between the two winners. The jackpot will be paid in 30 graduated annual payments or a one-time cash payment of a reduced amount. Because the prize exceeds more than $1 million, the winning Merritt Island ticket must be claimed at Lottery headquarters in Tallahassee, Florida.